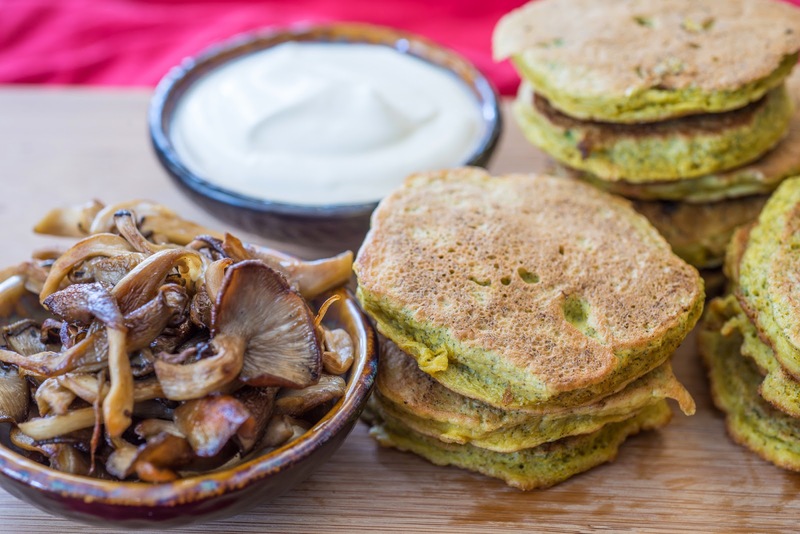 After watching a TED talk given by Sunny Savage, a wild food forager currently living in Hawaii on the island of Maui, we have been inspired to follow her mantra of "Eat a Wild Food Every Day". She advocates incorporating wild foods into your daily diet by just adding a little bit at a time to start, increasing the nutrition of any meal. We agree, and have been following this idea for years, adding nutrition, color, and interesting flavors to normal meals everyday. For us, it is second nature to reach into our stores of frozen, dehydrated, pickled, or jellied wild food stores to add something we foraged ourselves to a meal. Adding frozen wineberries to smoothies, cooking a soup with dried wild mushrooms, making pasta with dried and powdered nettles, or grinding garlic mustard seeds into spicy mustard is something we do nearly every day. 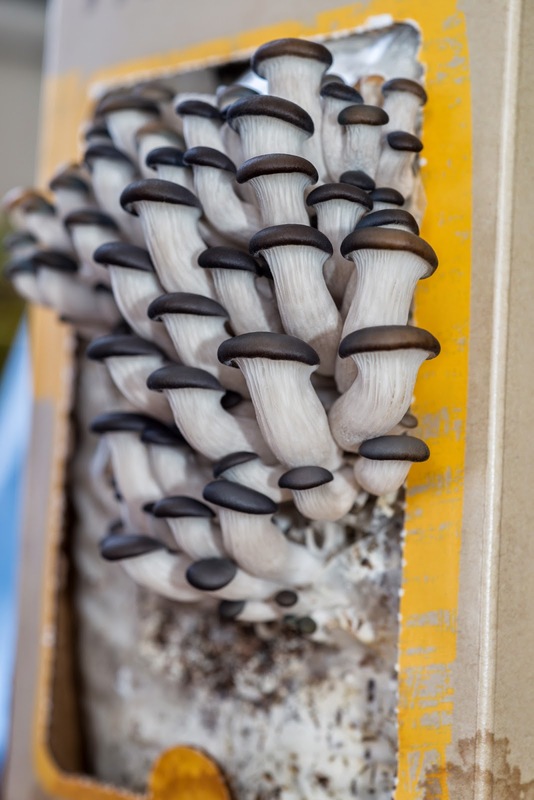 We were gifted a mushroom growing kit for Christmas, and promptly got it going, watching as the tiny oyster buttons grew larger the more we watered them, and finally harvesting the clump for breakfast this morning. 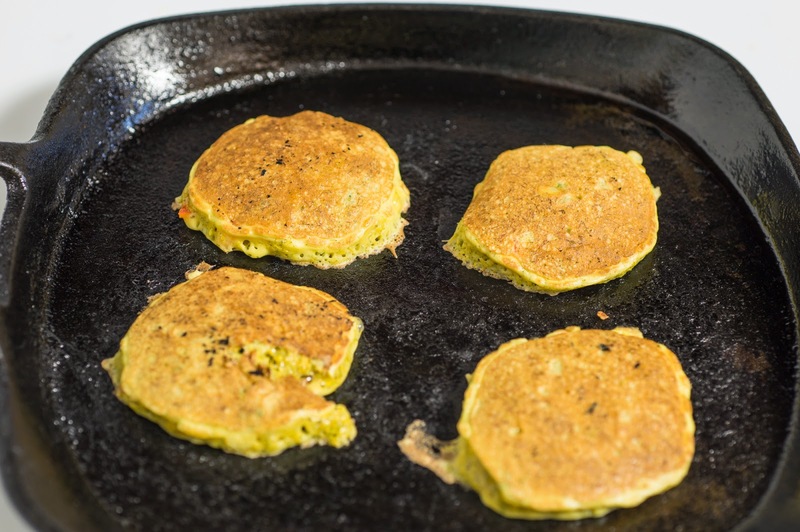 The cattail griddle cakes were made with the male flowers of the cattail plant (Typha latifolia), gathered last spring before they produced their pollen. We go out in tall boots to snap the cattail flowers off the stalks, and bring them home to clean. 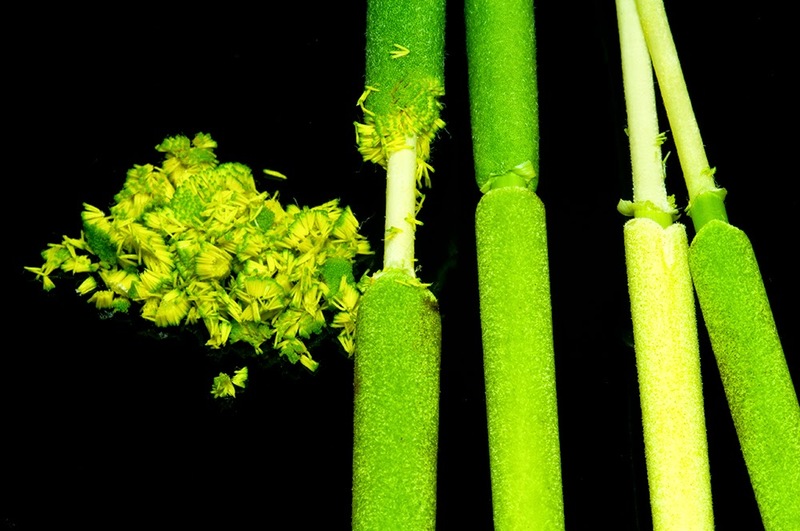 The top portion of the flower is the male section, and can be easily pinched off the slim core into flaky bits that have a mild corn-like flavor. The male flower parts freeze really well, portioned out into 1 cup containers, the perfect amount for a single recipe of griddlecakes. The lower, female section of the flower doesn't flake off like the male portion, but can still be steamed for a few minutes and chewed like corn on the cob, although you don't end up with a lot of actual material to chew. 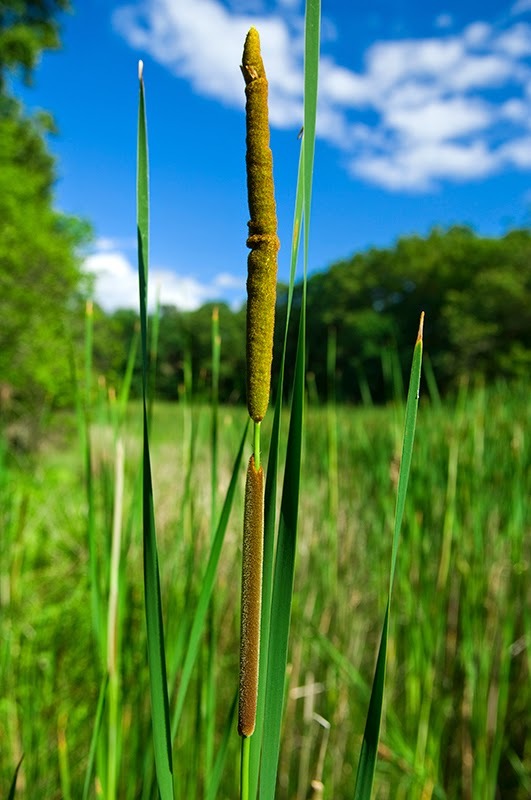 If left to mature, the male portion of the flower will produce the pollen that falls to the lower female portion of the flower, then the male flower falls apart and falls away, leaving the female portion to mature into the typical, brown cattail stalk that turns to fluff in the fall as the mature seeds are spread.We also gather the pollen from cattails later in the spring by snapping the pollen-filled male portions off into a bag, then shaking the bag vigorously. Then the pollen in sifted a few times to remove debris and small bugs, before being lightly dried and stored in the freezer to add to pancakes, biscuits, or smoothies. That looks very interesting. I may have to look into a mushroom kit now. You know guys I love having grilled Mushrooms in Breakfast and I can eat Mushrooms anytime. The recipe you have shared is looking different. I am going to try it this evening. Do you have cooking videos of this recipe? I will share that with my sister in law too, as she loves cooking.